The crawler crane Bucyrus Erie operates around Seattle, Portland and many other Washington State projects. An easily transportable crawler crane, the Bucyrus Erie assists the execution of upland portions of marine-based construction projects. 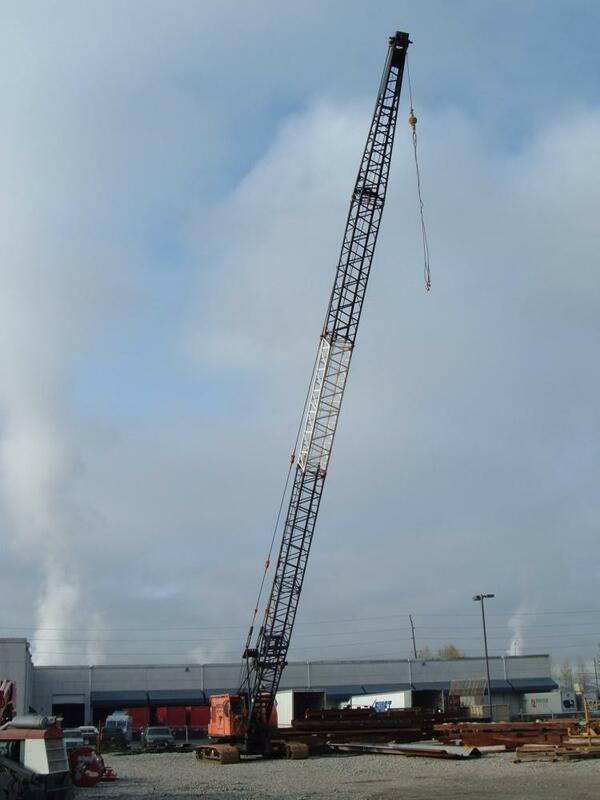 At 60 tons, it uses its 90 foot boom for moderate lifts, dredging and pile driving. Width with Treads Retracted = 11'-11 1/3"
Width with Treads Extended = 14' 10" - 15'-4"
Length of Treads = 16' 8"